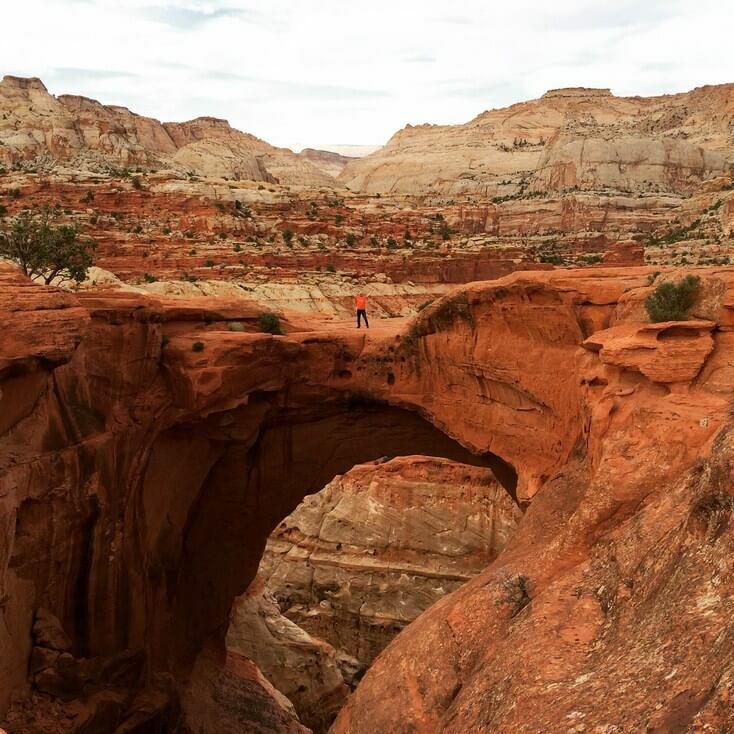 When I first looked at the elevation profile for the Capitol Reef 50 miler, with its 6,700 ft of gain and 8,600 ft of vertical loss, I felt that it would be easier than the Bryce Canyon 50 miler I had recently completed. I was so wrong! 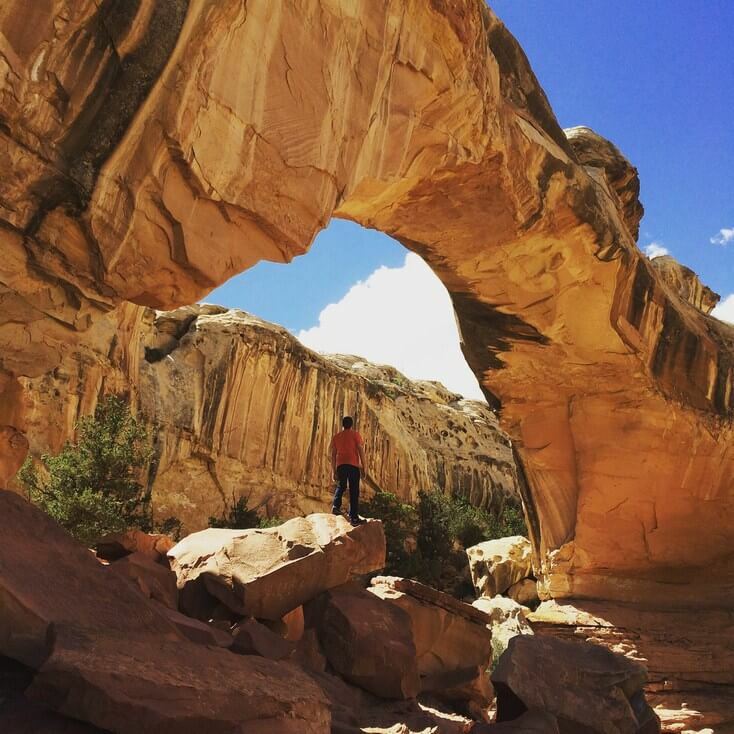 This race takes place near the beautiful Capitol Reef National Park. 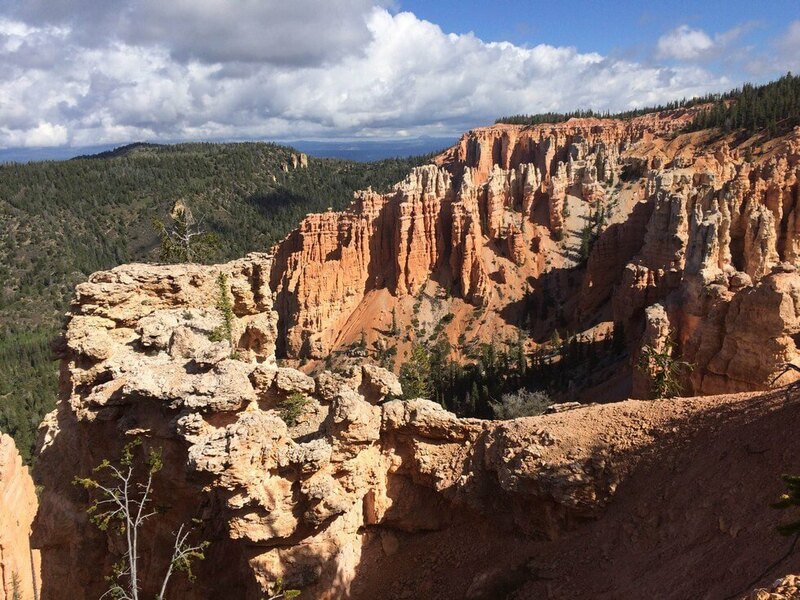 If you decide to participate in this event, make sure you plan some time to enjoy the park and its hikes. 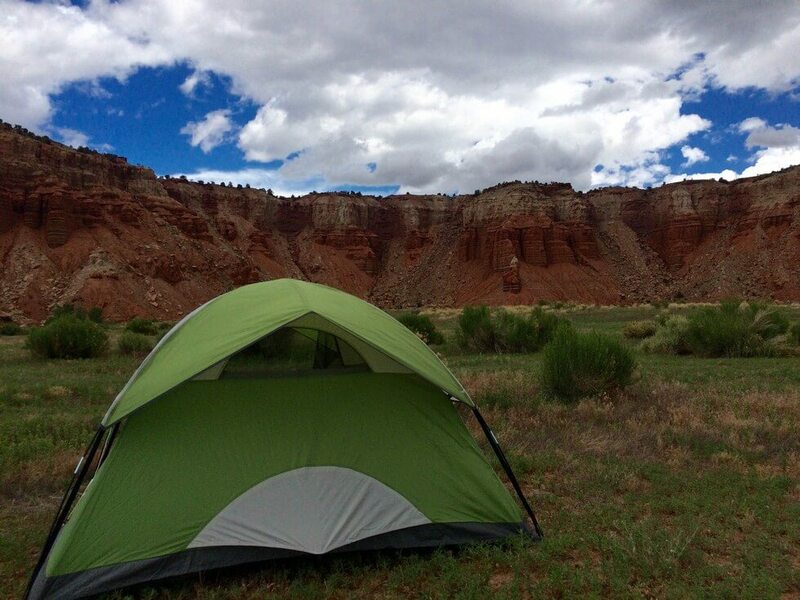 The camping near the event provided great views too. Early Saturday morning, we shuttled to the start. The early morning temperatures were chilly and I hoped it wouldnвЂ™t get too warm later in the day. For the first 10 miles we climbed quite a bit, including one rocky climb that was about 1,000 ft climb over a mile. We were taken to the top of Aquarius plateau, the tallest plateau in North America, at over 11,000 ft. The views were amazing. We ran through forests of aspens and grassy meadows. We were treated to mountain lakes and river crossings. There were moments where the course would take us along the rim of the plateau to see amazing views over great distances. Now, why was this course so brutal? You spend a lot of time at altitude. Some courses you climb and go back down. 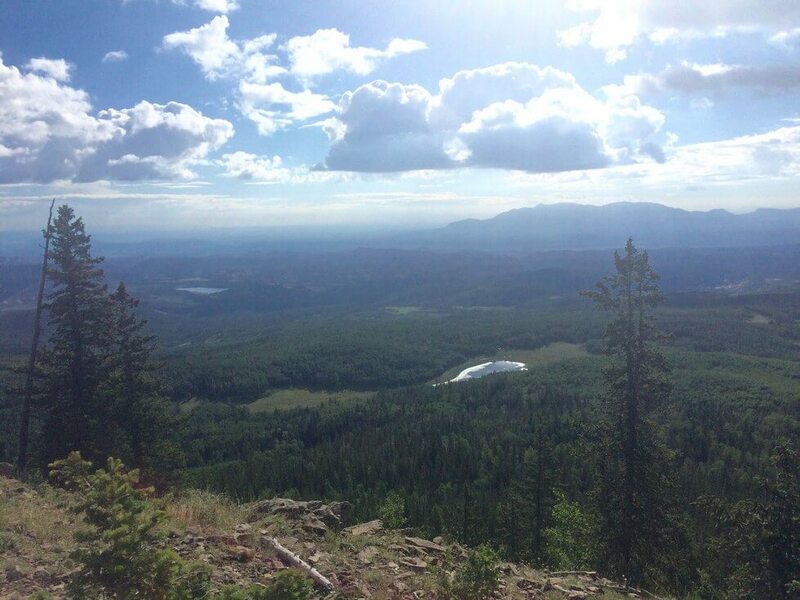 This course has you climb and continue to run at that altitude. Fortunately, I didnвЂ™t get altitude sickness (although I heard about some that did). Still, running at that altitude for someone that lives at an altitude just over 2,000 feet really fatigued me as the race wore on. The course is very rugged and technical. There were a lot of large rocks. This made it difficult to run at times. You really had to pay attention and be aware of every step. Also, there were many times when the trail was not clear. I had to find the next flag, cairn, or trail marker to know where to go next. This delayed me many times. 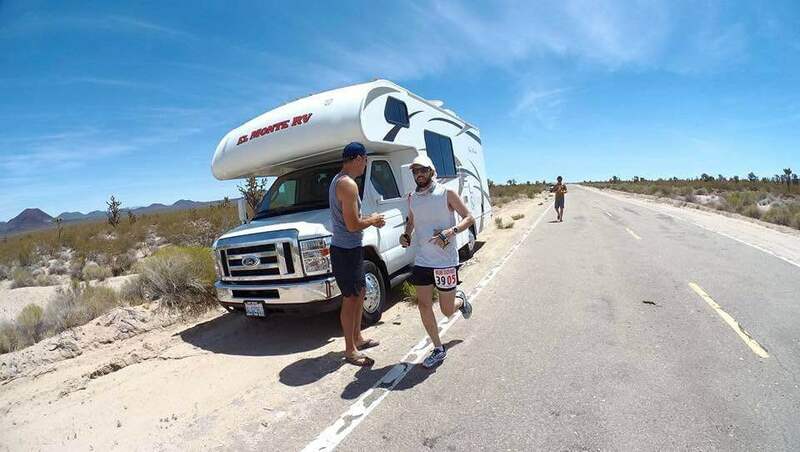 Sometimes it was advantageous to travel with other runners because you would have many eyes looking for markers. It was true backcountry trail running. 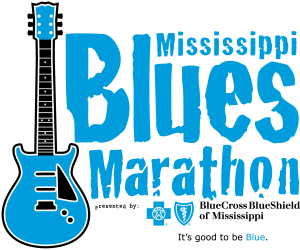 This was the first year for this race and many of the runners I chatted with were surprised by its difficulty. I felt like I was doing well throughout the beginning of the race. It was tough but I was cruising along. 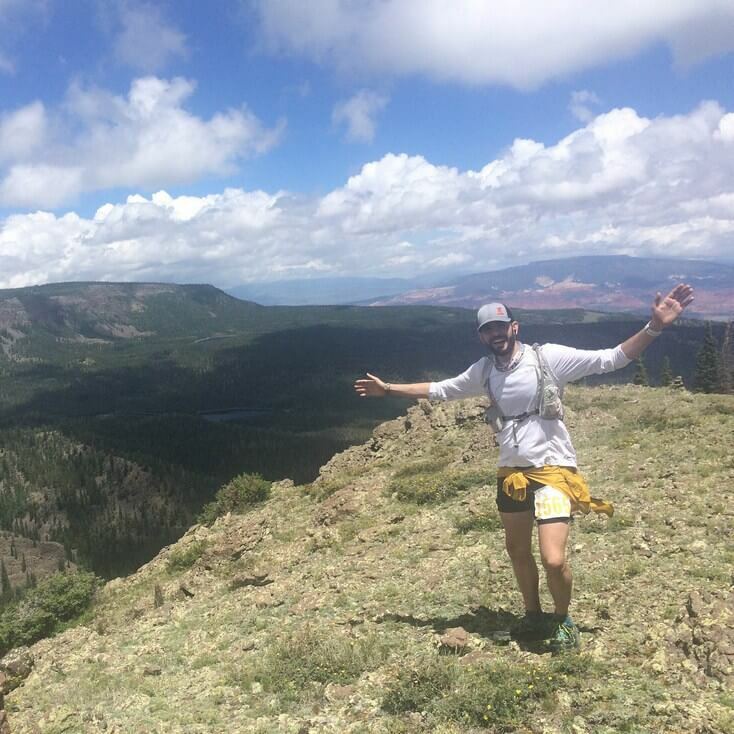 I really enjoyed chatting with so many experienced Utah runners out there. As the race wore on, I became really fatigued. I struggled but I hung in there. I remember pushing along with another runner that was struggling and we commented how nobody was catching up to us. Everyone was struggling! I hit a low point after mile 37. 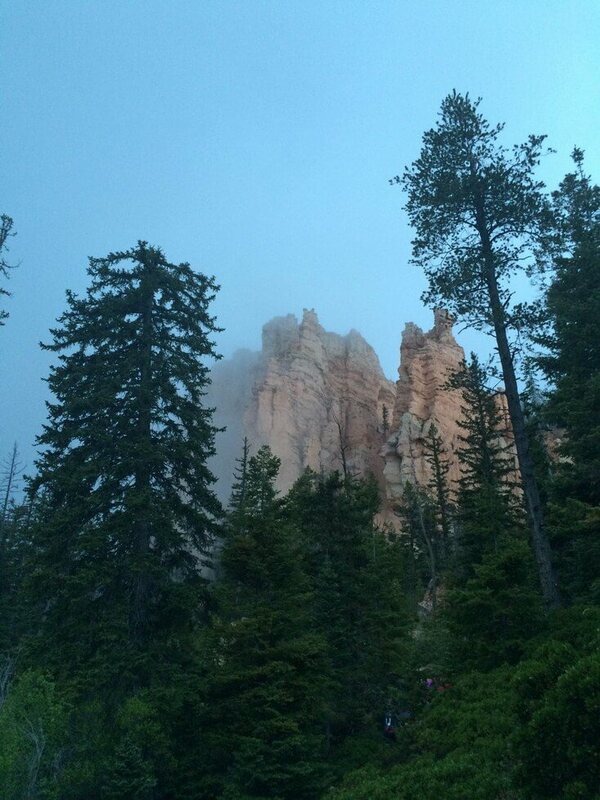 I was feeling cooked and it didnвЂ™t help that the mosquitoes would bother me when I slowed down. I used a long sleeve white shirt, a bug band, and bug spray and those bugs still loved me! Once I got to the aid station at mile 44, I just wanted to be done. Maybe it was the fact that I was returning to lower altitude but things start to click again mentally and physically, and I was able to run well to the end. Personally, I thought I had a poor race but to my surprise, I had come in 14th place! I was so happy to be done. It was a humbling experience. Gear: Hoka One One Challenger shoes, Injinji trail socks, North Face Better than Naked shorts, Champion tech shirt from Target (aww yeah! ), Patagonia Houdini jacket, Nathan Hydration pack, TAUR trucker hat. Nutrition: Nuun Hydration, GU Roctane, Mama Chia, Coca-Cola, and some fruit from aid stations. 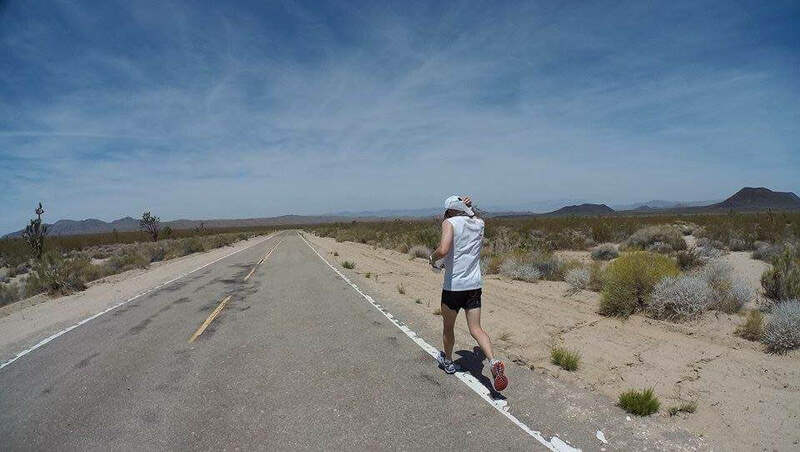 When I signed up for the Mojave Death Race, I thought I was getting into an easy fun run type experience. The race involves 20 teams out in the Mojave desert. The relay legs are made up of road bike, mountain bike, road running, and trail running. I had no idea how fierce the competition would be for this race. 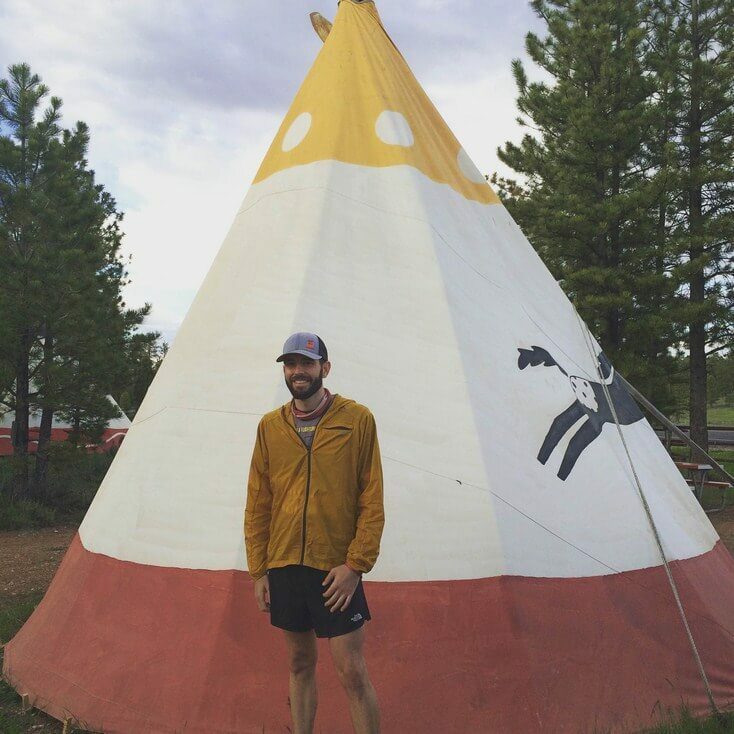 Around 3am Saturday morning, Josh (a great trail runner) and I carpooled out to Primm, NV to meet the team. We picked up Chad along the way, whom I met that morning for the first time. 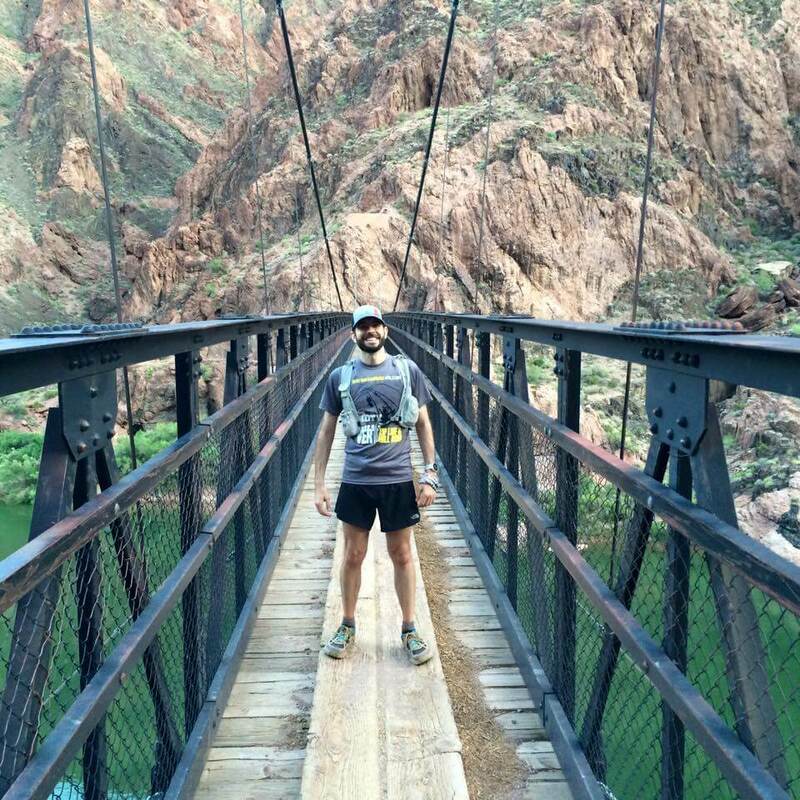 Chad is another local runner and Ragnar ambassador with great speed. We met up with the rest of the team at Primm. Joseph, another local runner and Ragnar trail warrior, and Matt, crazy Australian runner, were there to round out the runners. I met Rich (our cyclist and team captain), Rob (road and mountain biker with penchant for long endurance rides), and Donovan (an amazing mountain biker who can also kill it on the road). This completed our team, The Running Dead. We had a sweet team RV so we would be riding in this race in style. We tossed our stuff in and carpooled out to Nipton, CA, a small town where the race would begin. Matt had said that based on the competition from last year, he was confident we could win this race. The race began at 6am on a warm Saturday morning. It was already warm in the morning? The forecast said temperatures would be over 100 degrees. Chad started us off and I could tell right away this would be a tough race. These people were fast! In the beginning we bounced around between 6th and 3rd. Matt seemed a little bummed out as the first place team, with one of the top local cyclists, was pulling away significantly. Still, we decided we would continue to give it our best and hope for at least a podium position in 3rd place. I got ready for my first run, which was a 9.1 mile road run. By this time, it was hot outside. I put some ice in my hat and in a bandana around my neck. I was amped up for the run and I took off. I ran my first mile in 6:20 and my second mile in 6:35 then suddenly someone passed me! It turns out a nationally ranked track athlete from Cal State was running the same leg as me! He must have been doing 5 minute miles! I cranked out my run in the heat. The heat really started to wear on me by mile 6. I poured some water on my head and pushed through. Fortunately, I passed someone else on my run and retained my team’s position in the race. 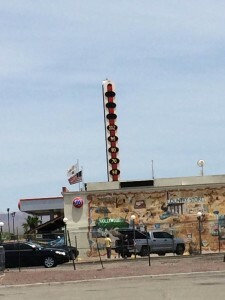 Later, in Baker, I saw on the world’s largest thermometer that it was 102 degrees! We kept giving it our best (and later we were glad we did). Our cyclists were amazing. Shortly after this, Rob crushed a long 34 mile ride in the heat. I knew that a guy that loves doing long endurance rides would have no problem with this kind of adversity. Later Josh had to do his 8 mile run in the heat. The heat was so intense, it got to the point that we didn’t even want to step out of the RV into it, let alone race in it. We kept giving Josh water to pour on his head and I gave him some ice to put in his hat as our team continued along the sufferfest. 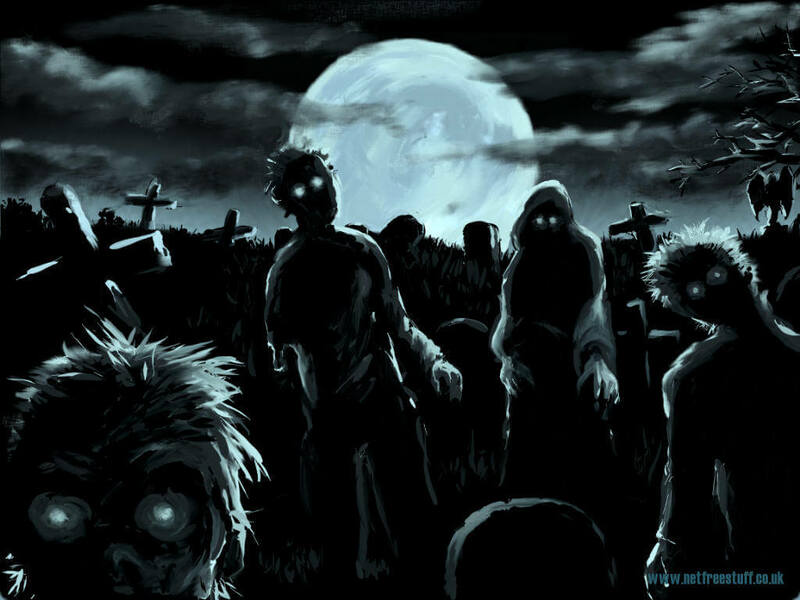 We are The Running Dead! As I relaxed in the RV, Rob raced through his mountain bike leg, taking back 3rd place. By this time, the second place team was 45 minutes ahead of us still! Chad and Joseph tore through their legs. The second place team remained 40 minutes ahead. Such a huge gap. Matt, Josh, and I completed the next three legs. I ran hard on my 6.5 mile leg but I had to be careful because I had another 7.5 mile leg next. By the time we finished our legs, we were only 20 minutes behind second place, Team Nuckin Futs. Wow! We were really gaining. We also found out that 4th place, Team Riff Raff, was only 10 minutes behind us and pushing hard. Donovan, who had already done so well on 3 legs, got ready for his 4th leg, a mountain bike leg. He was tired but he said to me, “This is my stuff right here. On the mountain bike.” I knew he would kill it. When Donovan got back, Rob was amped for his mountain bike leg and declared he would beat his projected time. I handed off to Matt, who took off. I told my team what happened and that they likely gained some significant time on us. Sure enough, shortly after, we saw the headlamp of the college runner coming towards the exchange. He handed off to his track coach, who took off hard! We had to warn Matt! We jumped in the RV. We could see in the track coach’s face that he was pushing hard. He wanted this. We caught up to Matt and warned him that 4th place was chasing him hard. The big Australian charged down that leg with a ton of heart. As we leapfrogged ahead, we couldn’t believe our eyes. 2nd place, Nuckin Futs, was right there! We had pushed so hard to keep 3rd from the 4th place guys that we caught up to 2nd place. We told Matt they were right there! As Matt passed and brought us into 2nd place, the RV erupted into cheers! Chad was next up. He was nervous. The pressure was on. Just like me, he didn’t want to be the guy to give up a position. At the next exchange, all the teams waited to see how things sorted out. Who would arrive next? Matt arrived first. Joseph and I cheered and everyone else at the exchange was dead silent. Chad took off with a fury. As we pushed ahead to make sure our runner was okay, we heard a distance noise. A train was coming! The train was going to cross right in front of Chad. We couldn’t believe this. We could lose all of our lead if the runners bunched up at the train. It was dark and we couldn’t see how long the train was. It seemed to go on forever. Fortunately it passed and Chad hadn’t made it to the tracks yet so he wasn’t impeded. Ahead at the last leg, Rich had no idea what had happened. He was trying to get a little sleep waiting for his last leg. We rushed ahead and woke up him up with the news. We were now in second with a slim lead. Two other teams were gunning for us and it was coming down to this. He got ready in a flash and Chad came flying in. Chad was exhausted from the effort. He looked at his watch and we realized, in an immense show of heart, he had run faster on his last leg than his first. Rich was off and we waited for the next team so we could tell Rich how much of a lead he had. Riff Raff came in 8 minutes behind us and took off. We went ahead and told Rich how much of a lead he had. He was pushing hard and I could see he was as stressed as we were during our legs. It looked like we had 2nd but you never want to say it until it’s actually happened. We went ahead to the finish line. As we waited so close to the finish, we heard a familiar noise. Just kidding, but it felt like the trains were trolling us. It was a memorable experience. Our team was great. Nobody bickered. It was great making new friends too.В Everyone was uplifting and a great time to be with. The whole relay took about 22 1/2 hours. Looking back, every little bit we pushed… it all mattered. I really enjoyed Christopher McDougallвЂ™s вЂњBorn to Run.вЂќ Although I didnвЂ™t eschew my shoes and take up barefoot running, I appreciated the story telling and anecdotes. It was a page-turner that pulled me in and kept my attention in the world of running and ultra-running. 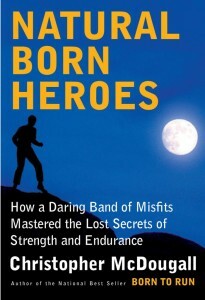 I was excited for his newest book, вЂњNatural Born Heroes.вЂќ The title intrigued me and I purchased the book right away. Unfortunately, the book didnвЂ™t live up to my expectations. Perhaps my expectations were too high. Still, it wasnвЂ™t quite the page-turner that вЂњBorn to RunвЂќ was to me. DonвЂ™t get me wrong. вЂњNatural Born HeroesвЂќ has some great stories and is still worth reading. The issue I have with вЂњNatural Born HeroesвЂќ is that it didnвЂ™t quite gel together. The author has interesting pieces on the nature of Greek heroes. I particularly liked the discussion on the emphasis of all around skills and being a protector. Everyday people can become heroes by being physically and mentally prepared when the situation arises. There is a particular touching story about Norina Bentzel, a teacher, protecting the children at her school. There is some brief discussion on the usage of fascia. IвЂ™m skeptical about his claims regarding fascia. I never felt like this was fully explored in the book. IвЂ™m a bit skeptical on the authorвЂ™s discussion of which martial art is the most effective. There will be so many different opinions depending on who you ask. There are interesting pieces on the Natural Method and parkour. The origin of the Natural Method is fascinating. I particularly enjoyed the mantra of training to вЂњbe useful.вЂќ I found the connection to modern day obstacle course racing (OCR) to be intriguing. The discussion of the business of gyms being built on people вЂnot goingвЂ™ is something I whole-heartedly agree with along with the transition into the modern day вЂњwork outsвЂќ focused on physique versus usefulness. He also touches on CrossFit. The story of the вЂdaring band of misfitsвЂ™ from WW2 on Crete is also fantastic. This was a story I hadnвЂ™t heard before. It was so daring and fascinating. It was such an amazing feat in the face of great danger. It would make a great movie. I really donвЂ™t want to go into too many details at the risk of sharing spoilers. In addition to these topics, Christopher McDougallВ discusses the Maffetone Method of fat-as-fuel. He also goes into the overconsumption of carbohydrates and the paleo diet. I predict a large number of endurance athletes will begin toying with the Maffetone Method because of this book. The author goes about tying this all together. They seem to be connected but it just doesnвЂ™t feel complete and is a bit forced. Perhaps this book tries to combine too much. Throughout the book, it felt like there was this big secret the author was going to share. It felt like this secret was teased and strung the reader along. In the end, it didnвЂ™t feel like a big reveal. The author wasnвЂ™t overly technical when discussing some of the various ideas. I believe this was for the more casual reader. I would have preferred a more technical approach. I suppose those looking for more will delve into these various topics on their own. In the afterword, Christopher McDougallВ says he was working on two separate books and felt like they were connected. However, as I read, I felt like the book kept bouncing around to all these different ideas and they never seem to come together throughout the book in a satisfying way. In the end, the author does go about bringing them together and IвЂ™m a bit skeptical about how they coalesced in the end. Ever since I heard about the Grand Canyon Rim to Rim to Rim run (R2R2R), I had been drawn to it. 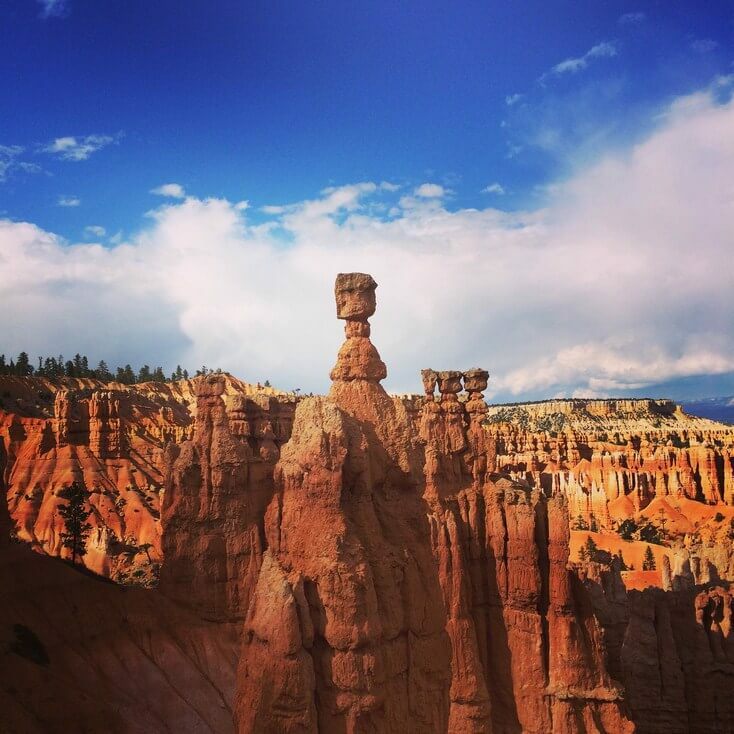 The allure of running in one of the great natural wonders of the world was too great. I didnвЂ™t care that it wasnвЂ™t any type of race or event. This is something I wanted to do for myself. 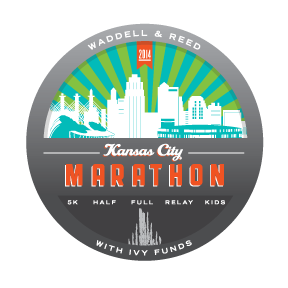 I spent time researching, planning, and training (of course) for the run. 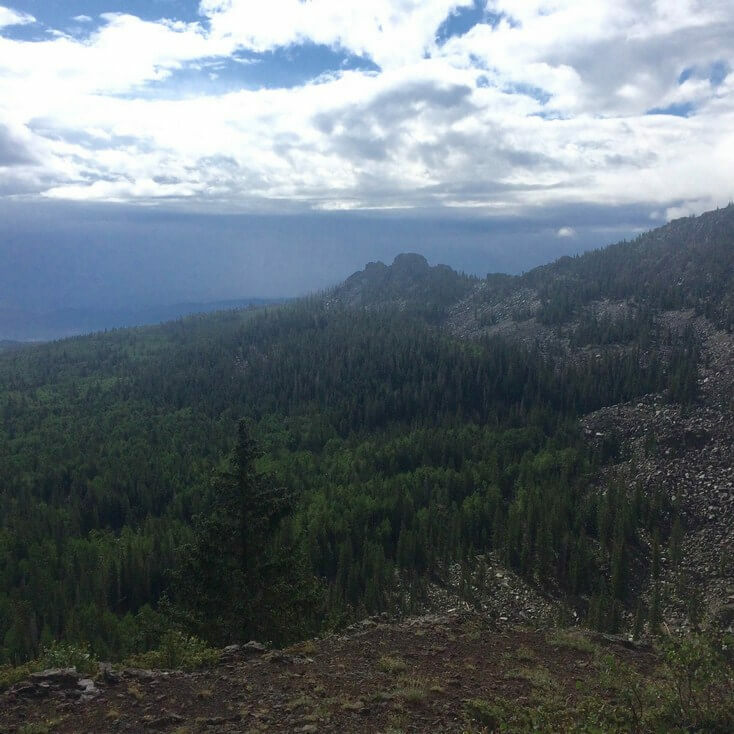 I tried to train as if for 50 miler and get as much elevation gain as I could in my runs. 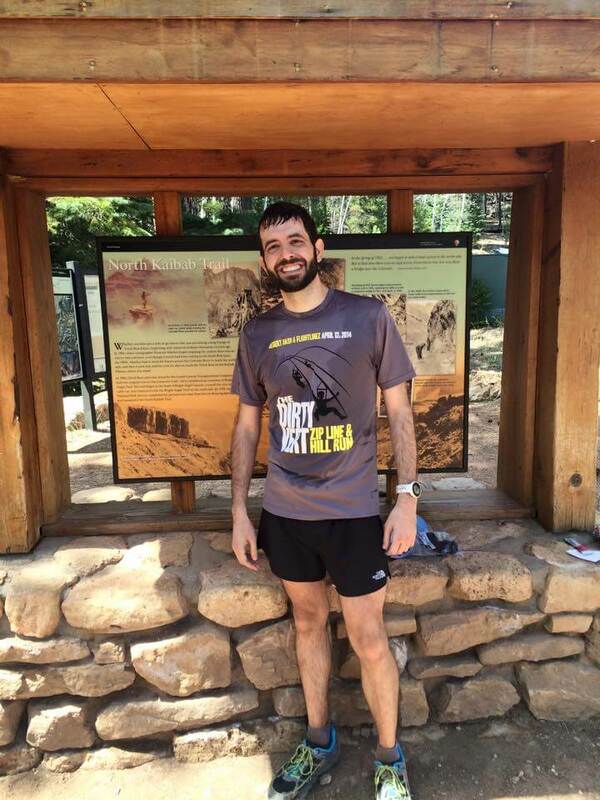 I searched online for information about the run and joined the Grand Canyon R2R2R run group on Facebook. 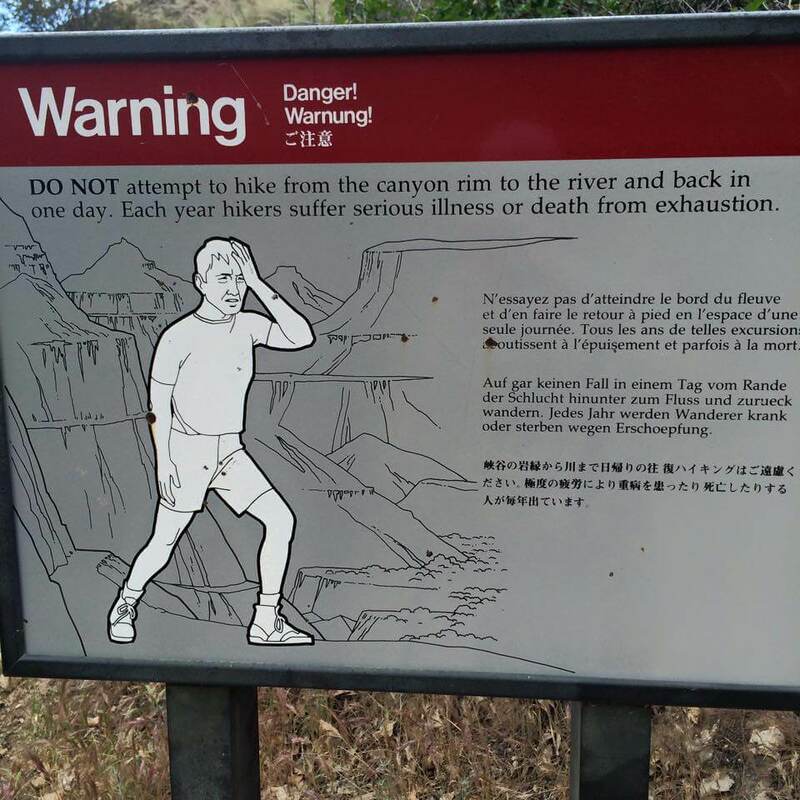 To be honest, the Grand Canyon can be a dangerous place. This is a self-supported run. No aid stations. Limited cell service. The weather is unpredictable. 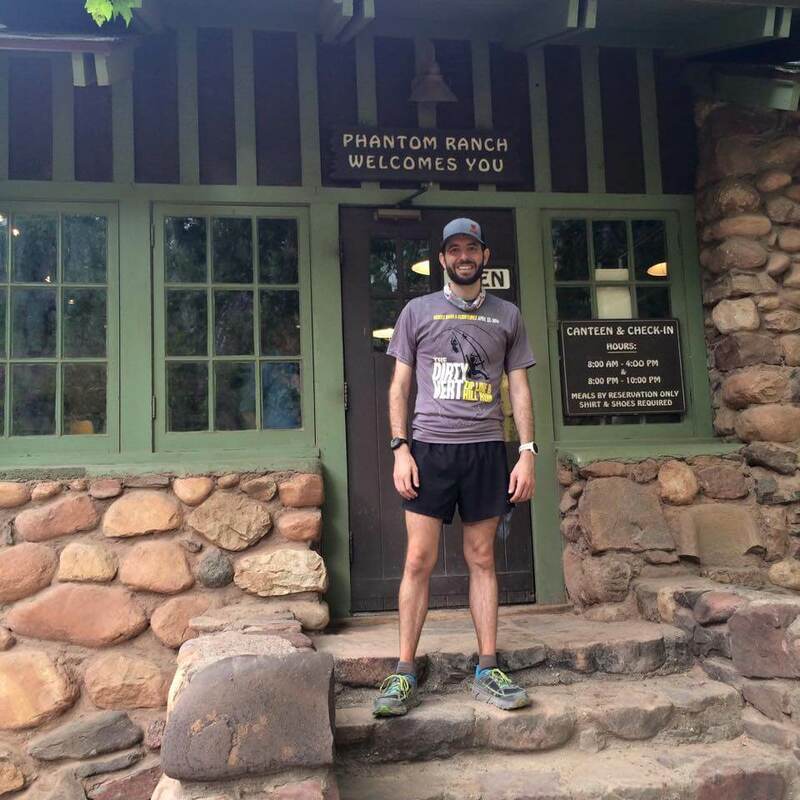 The taxi driver warned us that two runners had to be pulled out of Phantom Ranch recently; one of them needed an IV due to the heat. There are areas with sheer drops. 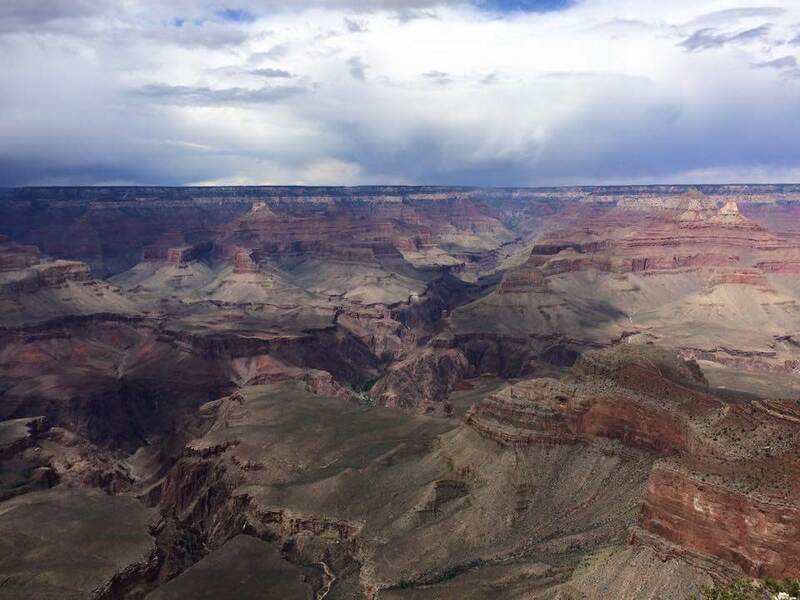 Every year, a number of people die at the Grand Canyon, some from falling. I took every precaution. I made sure I was prepared and I had back up plans if things went poorly. 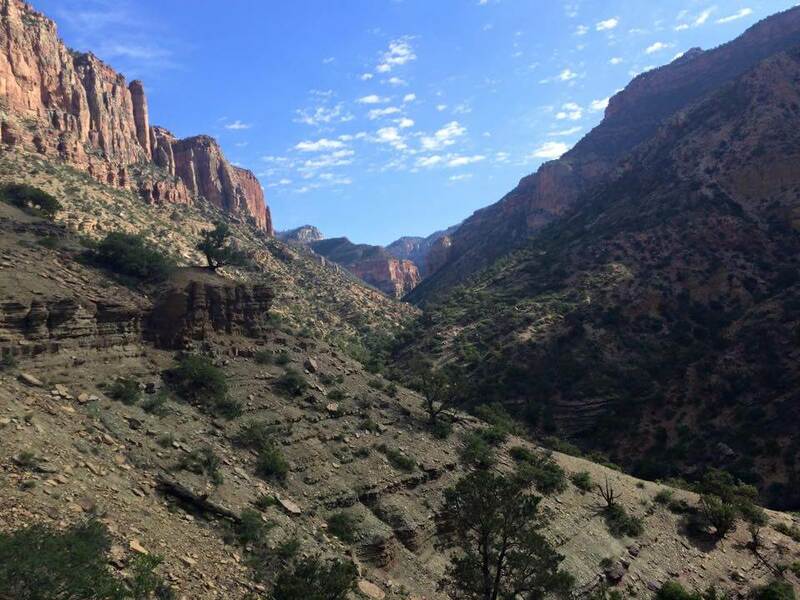 The route I chose was starting at South Kaibab trailhead, running down to Phantom Ranch, up to the North Rim, then back down, and up Bright Angel. This seems to be a popular route for the R2R2R run. 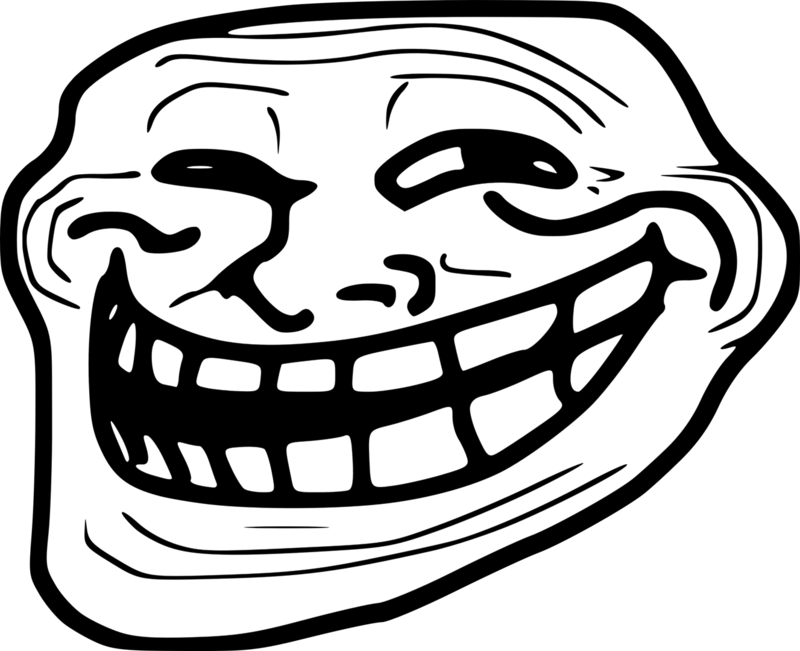 I scheduled my run for early May. This wasnвЂ™t ideal since it could possibly be getting hot but it fit my schedule. It was still before the north rim opens so it wouldnвЂ™t be as busy. 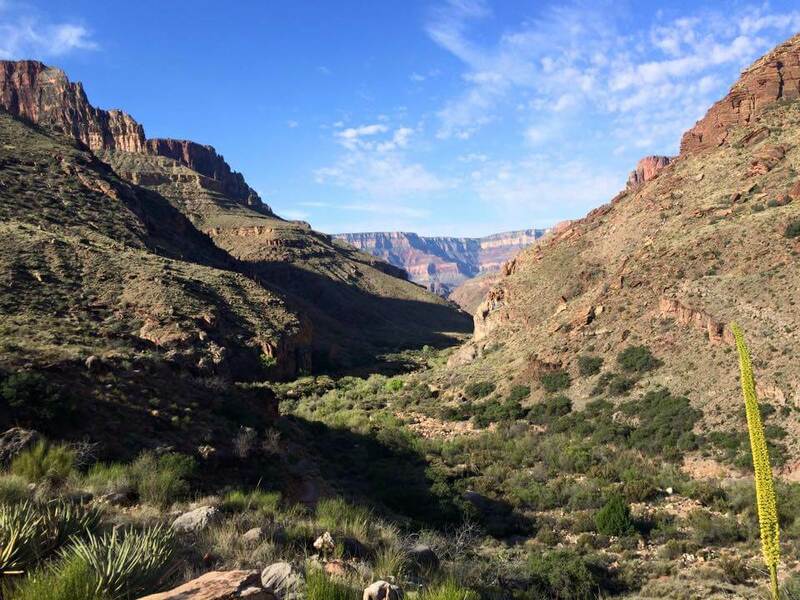 I stayed in the Grand Canyon village the night before and took a taxi to the South Kaibab trailhead around 4am in order to get started before the mules. I didnвЂ™t want to get stuck behind a mule train. Mules are still used today to bring supplies down to Phantom Ranch. They are also used to deliver the mail from the ranch. ItвЂ™s great to see the postcards stamped, вЂњMailed by Mule at Phantom Ranch, The Bottom of the Grand Canyon.вЂќ The mule trains start a first light so I got there an hour before sunrise to be safe. A number of friends were going to do the run with me but one-by-one things didnвЂ™t work out. This happens with scheduling trips like this. PeoplesвЂ™ schedules interfere or injuries happen. Nonetheless, I wanted to do this and I was going no matter what, even if I had to do it solo. As it turns out, I ended up going solo on the run. At the trailhead, I met another very nice group of runners. It always impresses me how inclusive, personable, and courteous the trail and ultra-running community is. A number of them had been on this run before. They allowed me to join with them. I appreciated the company and their experience.В The temperature at the trailhead was cool but not cold. I considered bringing arm sleeves and gloves but opted not to. It wasnвЂ™t as cold as I thought it would be. 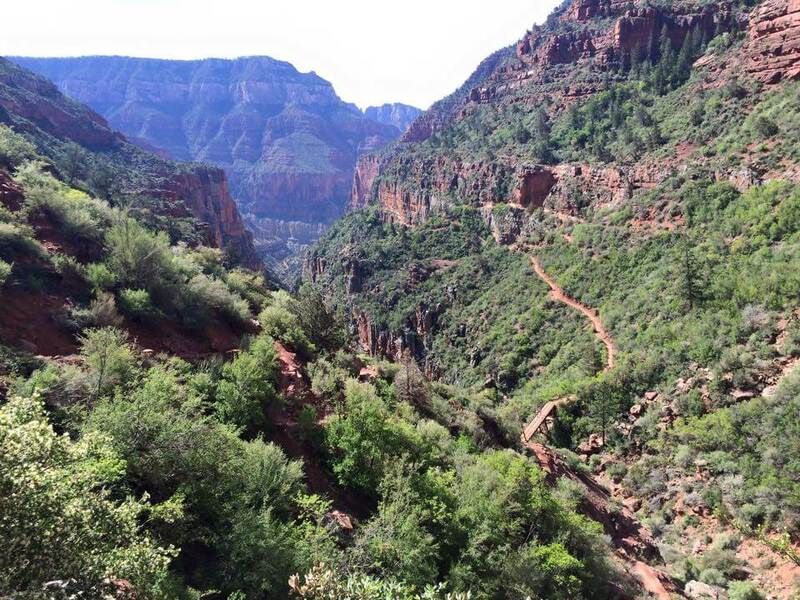 As I descended down South Kaibab in the dark, I was so excited. This was really happening. Throughout the run, I was filled with a sense of gratitude to be able to do this. 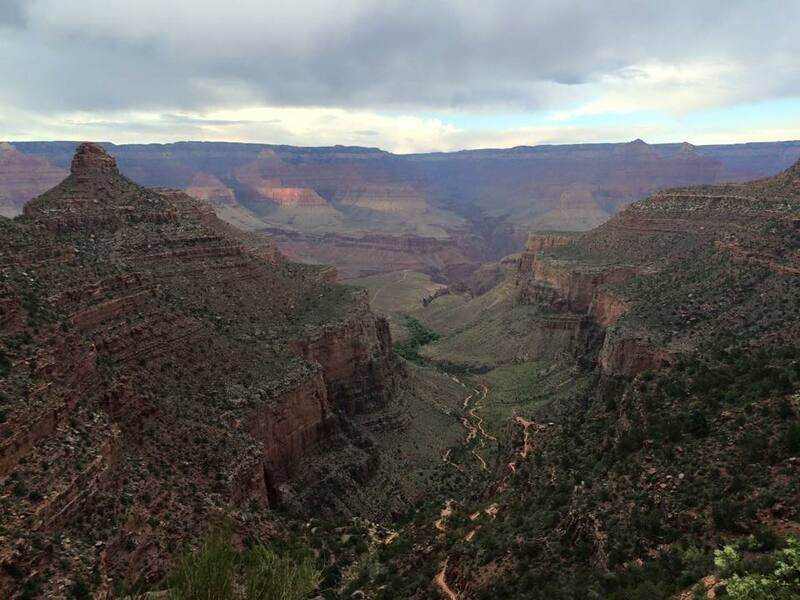 I was grateful to be healthy, physically capable, and that the Grand Canyon allows runners to do this. The trail down South Kaibab was quite cut out. They have these wooded logs spaced out and itвЂ™s difficult to get a good running rhythm on this part of the trail. One runner remarked how the logs push up on ball of your foot. This little push (over and over again) can wear on your calves on the downhill. I noticed this early on. As the sun broke over the horizon, I was treated to spectacular views of the canyon. I couldnвЂ™t help but stop every so often to take pictures. It was quite overwhelming and the pictures simply donвЂ™t do it justice. 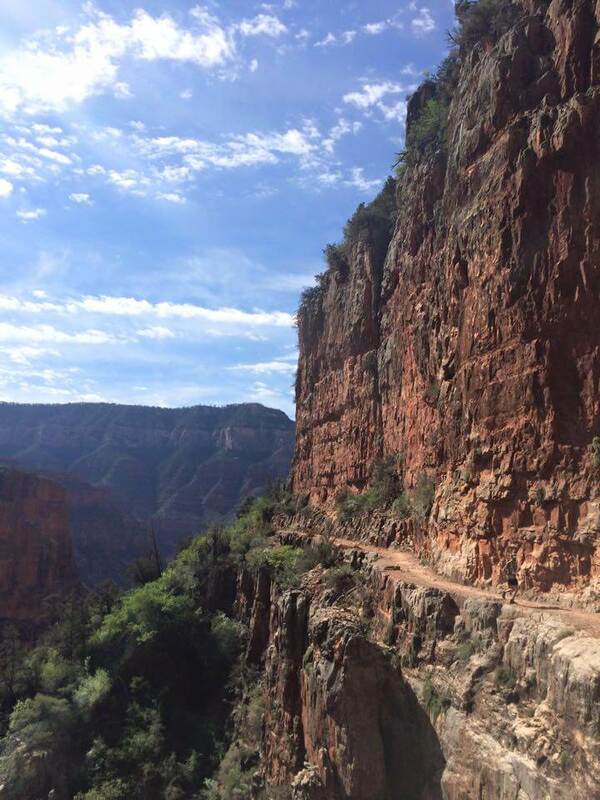 After the downhill running of Kaibab Trail, we reached the tunnel and bridge to cross the river. The inner canyon was beautiful to run through alongside the river. We saw a small herd of deer that allowed us to come right up to them. We passed Phantom Ranch but they werenвЂ™t open quite yet. I had begun sweating already as we descended and the temperature was warmer at the bottom. This concerned me because the temperature would likely get hot later in the day when I returned to the bottom from North Rim. 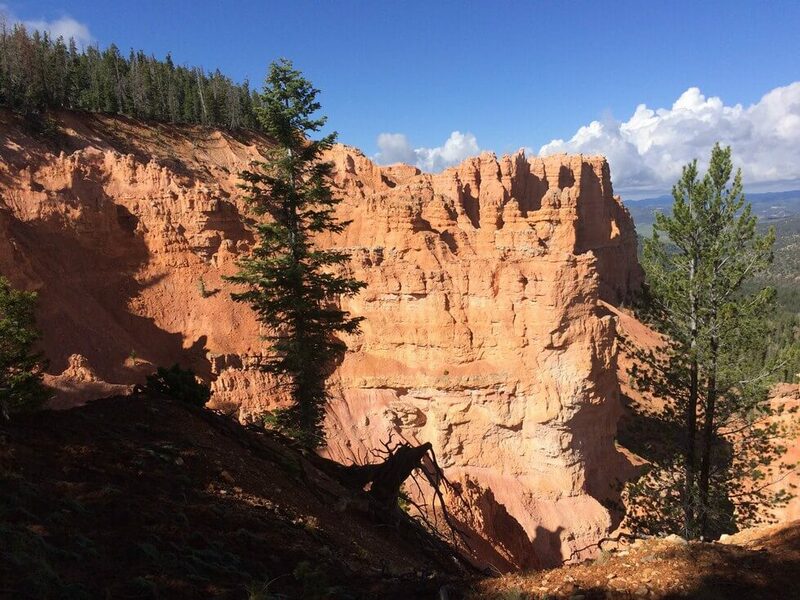 The inner canyon offered a different perspective but equally amazing views. I ended up pulling ahead of the initial group I ran with and ran solo for a while. 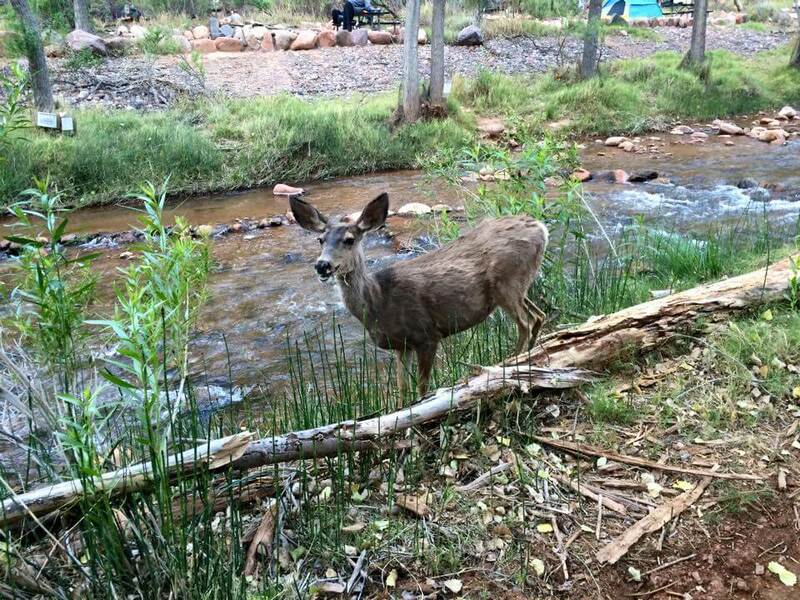 At the cottonwood campground, I refilled my hydration pack. I was doing well with water but I didnвЂ™t want to take any chances so I refilled often. 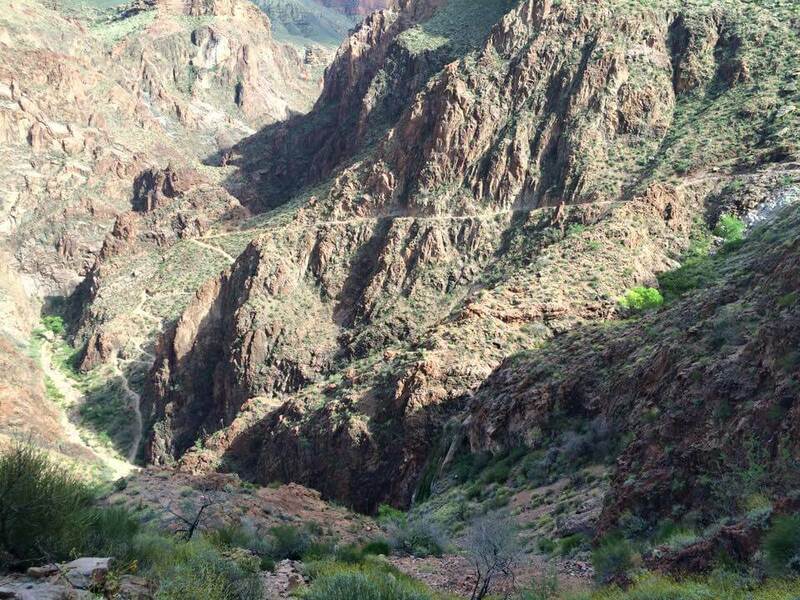 Overall, for water, there was no water availability coming down South Kaibab. There was water at Phantom Ranch but I didnвЂ™t need it. Overall, I was fortunate that the water was flowing in many locations along the way. This isnвЂ™t always the case and you have to check the water availability before you go. I packed a lifestraw just in case I needed to drink from the river. 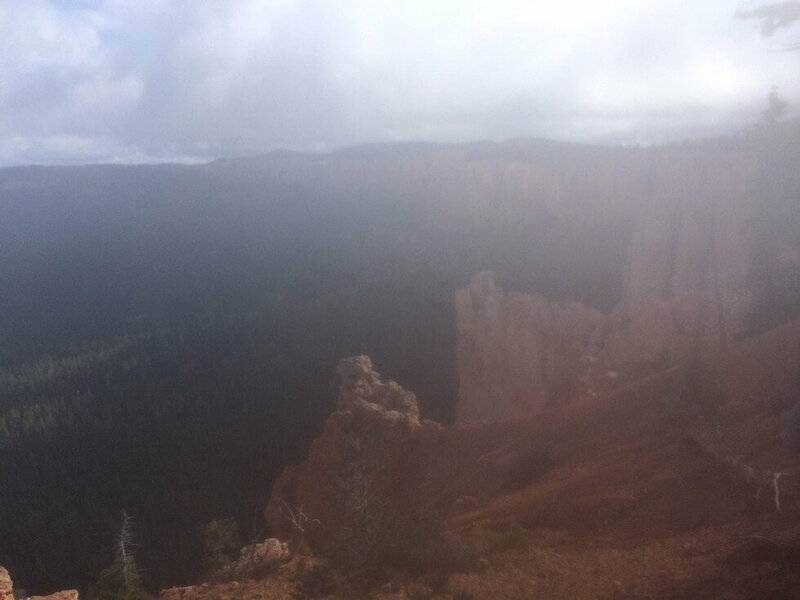 The route up to the North Rim was more exposed to the sun. The ascent was steep. I took out the trekking poles to help with the push to the top. On the way up, I encountered another group of ultra-runners from California. They were making good time and really enjoying themselves. 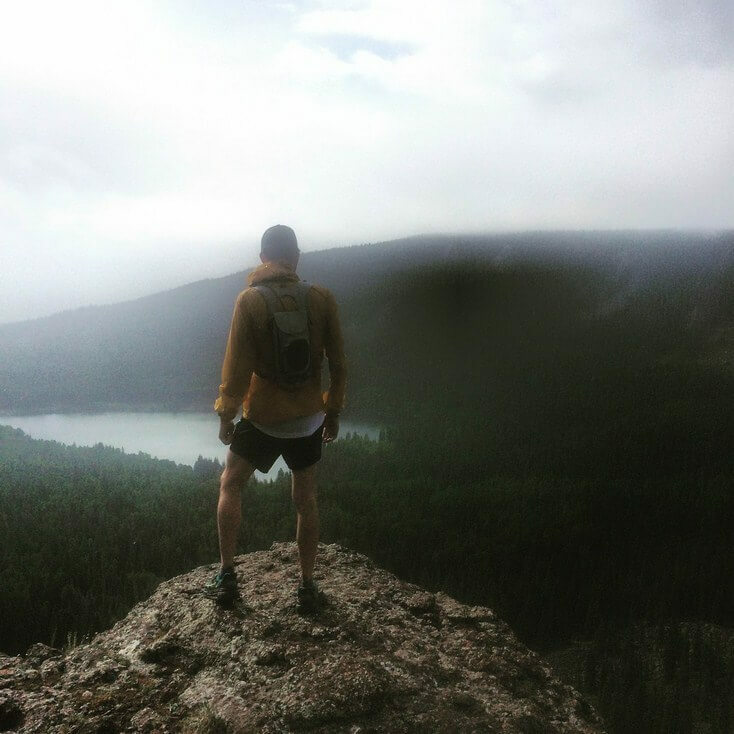 Once I reached the top of the North Rim, I felt wrecked. This concerned me as there were a lot of miles left. Still, it was fun at the North Rim. There was a nice group of us all refilling water, hydrating, fueling, and taking a breather. Everyone joked around and talked about the run. The temperature at the North Rim was refreshing. There was snow on the ground nearby but it didnвЂ™t feel cold. It was nice to get my body temperature back down. The water there was refreshingly cold. It was difficult to leave. After taking this break, I felt rejuvenated. I was ready to tackle the rest of this run. 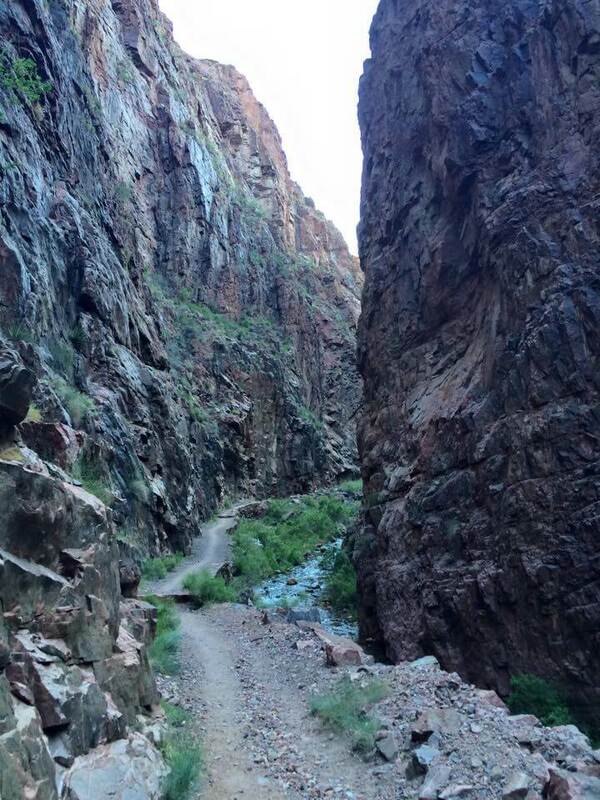 I ran at a comfortable pace back down towards the inner canyon. I stopped at the pumphouse to refill my water. On the way down, it was hot but I was still feeling good. Upon reaching the bottom, it was hotter but not unbearable. I continued to hydrate, take salt, and eat ginger to keep the stomach under control. The miles were adding up and I was getting tired but I pushed through. I would dip my hat and buff in the river/water each chance I got. I was tempted to jump in the river to cool off. I arrived at Phantom Ranch and the canteen was open. I had planned on sending a few postcards to friends from here. I sent one to myself too as a keepsake. I grabbed a bag of M&Ms and two lemonades. They tasted glorious after running for about 38 miles thus far. As I did this, I chatted with a couple of folks from the Dirtbag Runners group that happened also be in the Grand Canyon. They were doing a shorter run to Ribbon Falls (a place IвЂ™d like to visit in the future). It was time get to the final ascent. 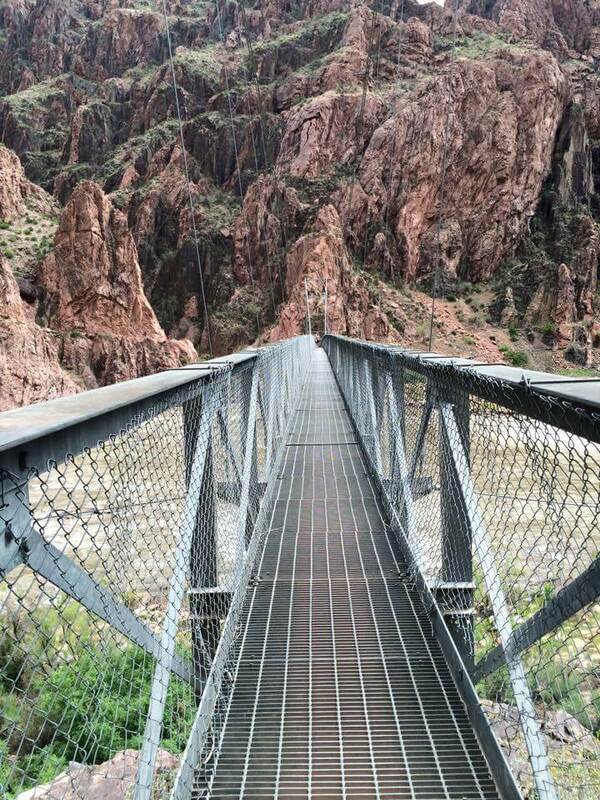 I took the path towards Bright Angel and crossed the beautiful silver bridge. The river looks like a lot of fun. 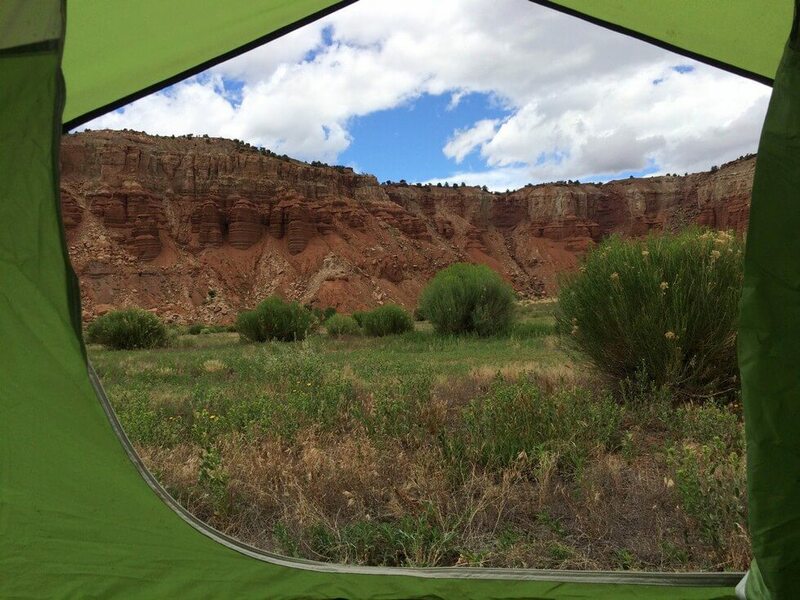 I would love to do a rafting trip through the canyon. As the path got steeper, I ran slower. Eventually, I pulled out the trekking poles and got into a good rhythm pushing towards the top. The top never seemed to come. I came across more and more hikers as got closer to the top. I got more and more excited to complete this journey. When I reached the top, I was greeted by my cheering family. I had done it! It felt so good. It was time to eat! Even days after completing this run, it is still sinking in just how special it was. 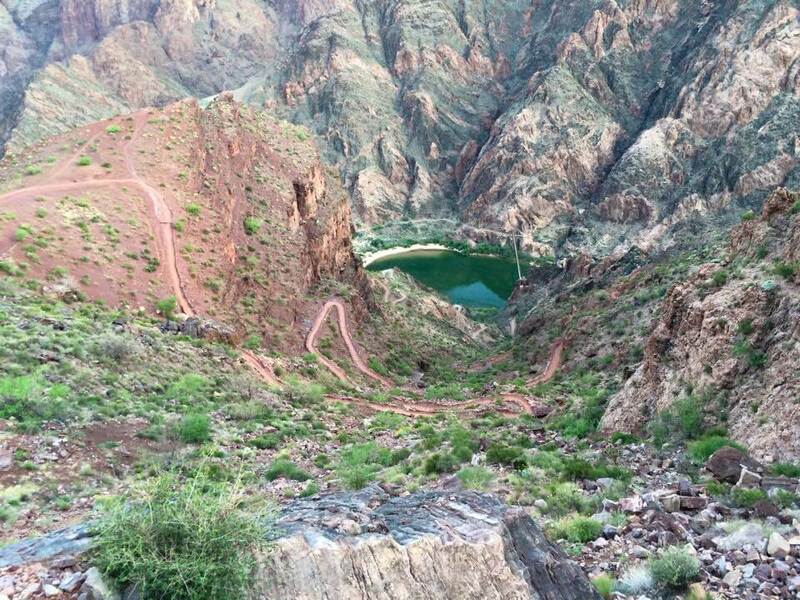 Each ultra-runner should put this run on their list. 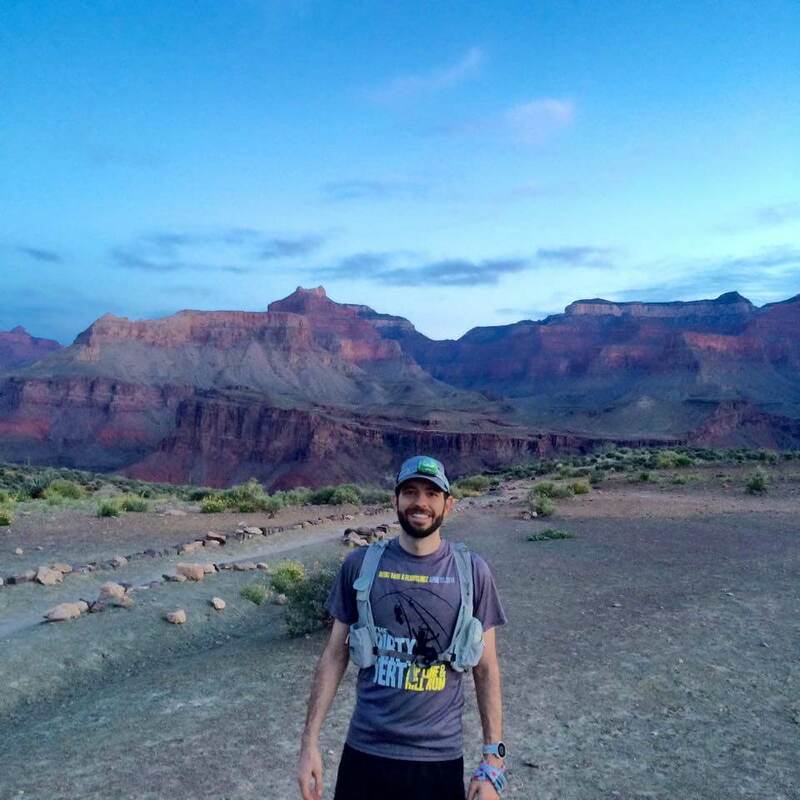 Hopefully the Grand Canyon continues to allow runners to do this. The total time to complete the run was about 14 hours. Per Strava, my moving time was about 11 hours. I stopped often for photos, water, and writing postcards, etc. With a run like this, I didnвЂ™t want to rush it. It wasnвЂ™t a race. My goal was simply to enjoy the experience, and I accomplished my goal. 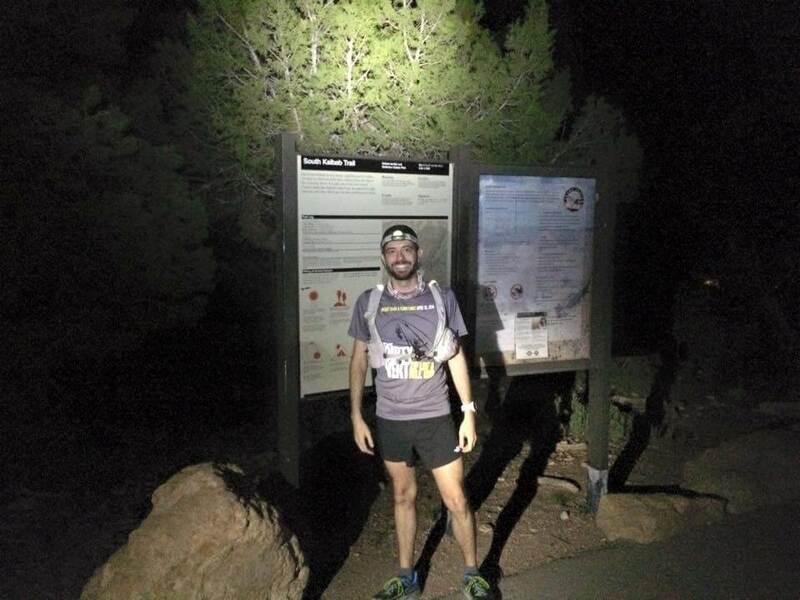 Gear: Petzl Headlamp, Buff, Injinji socks, Hoka Challenger shoes, The North Face Better Than Naked shorts, FlipBelt, Nathan Hydration pack, Garmin 620. 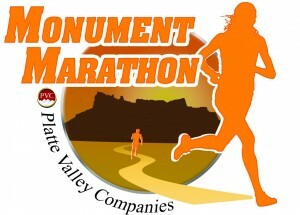 Note: I was going to wear my The North Face Ultra Cardiacs on this run but I had muddied them up at Zion the week prior. They werenвЂ™t quite ready for this so I had to purchase the Hoka Challengers on late notice, slightly break them in, and trust them. They performed well, although they started coming apart a bit already. I took them back for an exchange when I got home (technically, I could say I had only worn them twice ;), although I did say one of those runs was R2R2R run).